Researchers at Ford are experimenting with &apos;driverless&apos; cars that use a simple light-based language to win the trust of pedestrians. A modified Transit Connect van was fitted with a roof-mounted light bar that flashed white, purple and turquoise to indicate whether it was driving, about to pull away, or giving way – messages that would normally be communicated by body language, eye-contact and hand signals. The tests found a high level of trust in the vehicle&apos;s signals, and that turquoise was the most effective color, given it&apos;s easily seen and less easily confused with the red usually used for emergency vehicles. Jaguar Land Rover has conducted similar experiments, adding googly eyes to autonomous pods, and equipping them with projectors that beam their planned route onto the road. 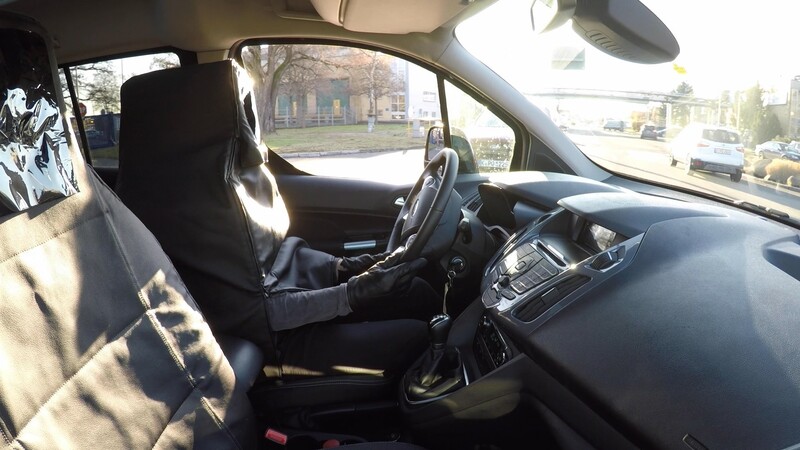 However, while Jaguar Land Rover&apos;s trials used real self-driving cars on a simulated street, Ford&apos;s tests took place in the real world, with a human driver disguised as a car seat. The drivers were specially trained, and an assistant in the back of the van served as a backup. “Fundamentally, people need to trust autonomous vehicles and developing one universal visual means of communication is a key to that," said Thorsten Warwel, Ford of Europe core lighting manager. "Turning someone into a ‘human car seat’ was one of those ideas when there was a bit of a pause and then the realization that this was absolutely the best and most effective way of finding out what we needed to know." The company is already testing real autonomous cars on the streets of Washington DC, following tests in Pittsburgh, Detroit and Miami, and will soon begin trials in Beijing and other Chinese cities.